A new version of the feedlot enterprise budget has been added to the WBIC website. The new version cleans up some formatting and fixes a few formula bugs that were discovered in the feed costs section for adjusting for moisture. It can be downloaded at the Decision Tools and Software page. 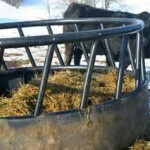 The proceedings from the 2019 Driftless Region Beef Conference and the Uw Extension Cattle Feeders Series are now available on the Wisconsin Beef Information Center’s Conference and Workshop Proceedings Page.